Car Show & Practice On For This Weekend! (Macon, IL – March 29, 2015) Despite a period of light rainfall, cloudy skies, and temperatures in the 40’s, nearly 30 teams came out for the first on-track action at Macon Speedway, this past Sunday, March 29. A number of fans, checking out the action, got to see some pretty good on track runs from a handful of Pro Late Models in attendance. Mini Sprints, Modifieds, Street Stocks, and Outlaw Hornets were also represented. One more open practice is scheduled for Saturday, April 4. Pits open at 11:00 with practice from 12:00-4:00. All divisions are welcome. 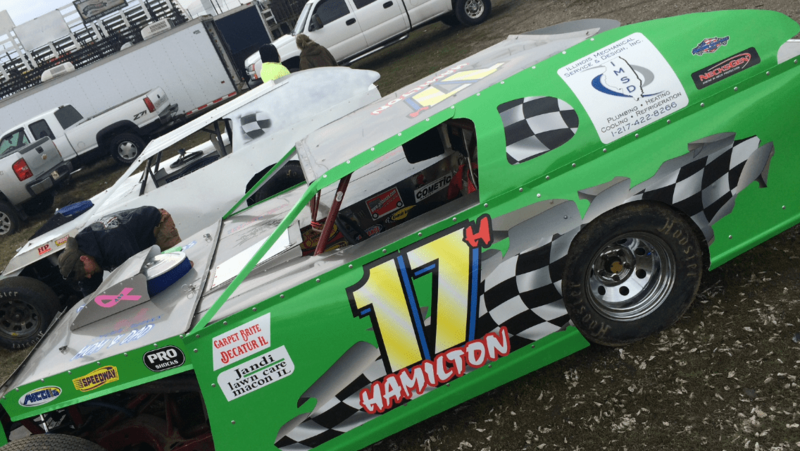 The 2015 8th Annual Spring Fling Season Opener is scheduled for Saturday, April 18. For full info, visit maconracing.com.